Our work is not intended to supersede the Regimental Histories only to augment these volumes. The Virginia Regimental Histories books provide the basic names of the individuals who served in each regiment. Our extensive field work is intended to reveal the burial locations of those members whose burial location are not known and reveal additional members who served in the regiments. We have recently learned that when the current printing of the Virginia Regimental Histories are sold out, there will be no future printing of these volumes. Thus VMVR - Virginia Military Veteran Research was born. In order to provide a place where our data can be made available to all who are searching for relatives, heroes to cherish or are merely surfing the Web, this Web site has been created. As we document more cemeteries, that data will be added into this site. If an error is discovered in our data please contact us so we can correct the error. If you know the burial location of a Virginia soldier's grave and would like to see it documented in this database please contact us and grant us permission to use that data. 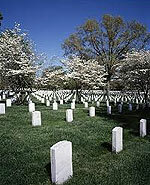 Likewise, if you know the burial location of a soldier who served in another state's military and who is buried in Virginia, contact us and grant us permission to use the data in our database.